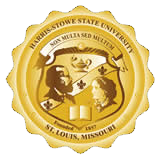 "Hornet Nation Update" is Harris-Stowe State University's monthly newsletter, keeping you informed of the amazing accolades taking place in or around campus. Read about our award-winning students, keep up with faculty and staff achievements, or view our calendar of community-engaging events. Keep up with Harris-Stowe's growth and progression as we continue to fulfill our purpose, serving as the the only HBCU in the St. Louis region.